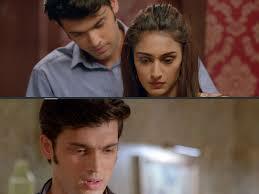 Prerna and Anurag loves each other and has even confessed their feelings to one another and are happy. While their this happiness will bring them too close where they will end up consummating their love. This consummation will bring shocking turn as Mohini will land in coma and her condition detoriates. Mohini will land in coma and followed by Moloy's death in an accident and this will break Anurag and Prerna apart. Anurag and Prerna are shattered as Nivedita accuses Prerna for all mishap that is happening in Basu house and things goes out of hand. Anurag is in state of confusion as what to do and how things will change forever after this.